This all-stone 6, 200 plus sq. foot colonial has a lot to offer. Inside the home boasts 5 bedrooms, 4 ~ baths, and 4 fireplaces. The main floor with hardwood floors offers a spacious living room, fully equipped kitchen with walk in pantry, elegant dining room, relaxing family room, a beautiful sunroom with cathedral ceilings and views of the in ground pool and tennis court, carpeted office and main level laundry room. Upstairs, you will find all of the bedrooms, 3 full bathrooms and a master suite with a fireplace. Don~t miss the laundry shoot outside the two back bedrooms. The attic is finished with additional bedrooms or storage. The finished basement has a lounging area with a full sized wet bar, pool table room, storage rooms and full bath with outdoor access. Radiant electric heat in the ceiling with a thermostat in every room provides individual comfort throughout the home. Outside enjoy the pool, hot tub, full sized fenced in tennis court with lights, fenced garden and fruit bearing Asian Pear trees. The two detached 5+ garages are ideal for any toys you may want or need to enjoy exploring your 22-acre property. Additional amenities are a slate roof, copper spouting, modern insulation and central vacuum. 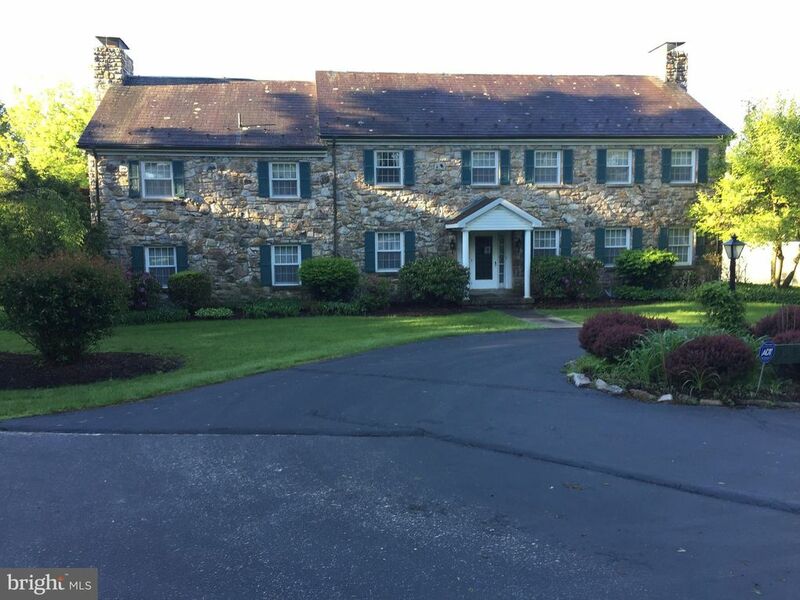 With easy access to Saucon Valley C.C., Indian Valley C.C., Promenade Shops, Allentown, Bethlehem, Philadelphia, New York and Turnpike this is a property you will not want to miss. Call to book your showing today!